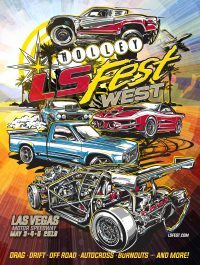 After back-to-back runner-up finishes at Holley LS Fest and LS Fest West last year, ace driver Rich Willhoff was crowned Grand Champion of the 2nd annual Holley LS Fest West with a command performance in Las Vegas. 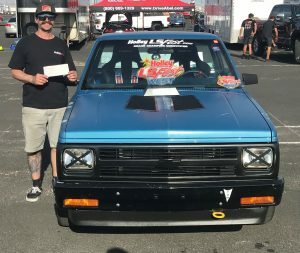 He not only made the podium at every single event except the MSD Drag Race competition, which his car isn’t set up for – he won them all. Joining Willhoff at the top was first-ever Truck Grand Champion Kevin Phillips, who wheeled a 1991 S10 to victory. 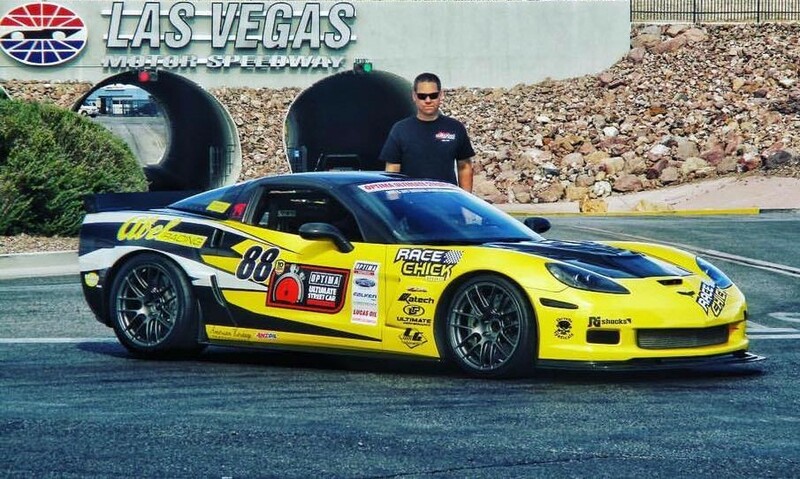 Willhoff’s winning machine is a 2006 Corvette with a naturally aspirated high-compression (13:1) 427 under the hood. Willhoff, who lives in the Sacramento, Calif., suburb of Woodland, is an experienced road-race driver. So is his wife, Carrie – she tied for eighth in the final overall standings. “After we did so well here, she gave me the green light to go to LS Fest in Bowling Green in the fall,” he said. Willhoff won that title too, and again Langley finished second, .649-second behind Willhoff’s winning time of 32.067 seconds with a time of 32.716. Glen Barnhouse joined them on the podium with a close 32.731. Don Gonzales won the Platinum Award (35.047 seconds), Luke Manquen the Silver Award (36.006), and Truck Grand Champion Kevin Phillips the Bronze Award (37.053). 2018 LSFW Autocross Fastest Times are located here. 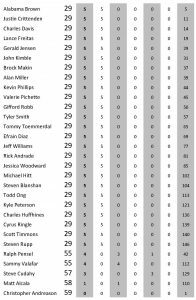 All autocross times for 2018 LSFW autocross can be found here. 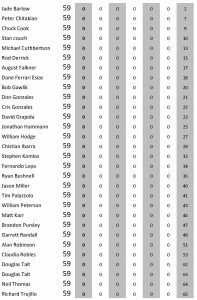 2018 Chevy High Performance High Noon Autocross Shootout Results can be found here. 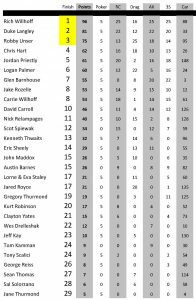 2018 LSFW Autocross Top 5 Shootout Results are located here. 2018 3S Challenge Final Results can be found here. 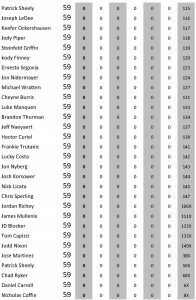 2018 Road Course Challenge fastest lap times can be found here. All lap times from the Road Course Challenge for LSFW 2018 can be found here. 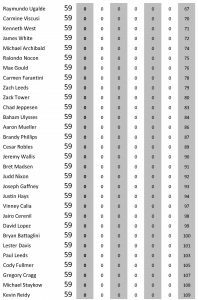 *If you are seeing your name somewhere after the 29th position, please keep in mind that we do not factor in points above that position. The reason for this is that there is no mathematical way that a competitor could win Grand Champion at that point level, so our formula doesn’t factor in any of the places above position 29.